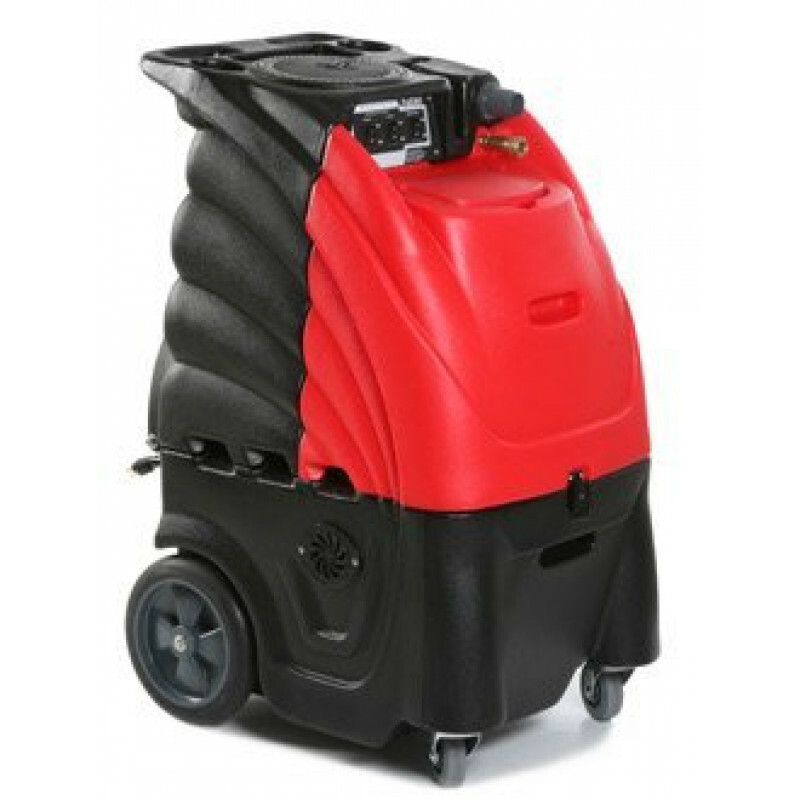 Sandia makes this fantastic heated automotive extractor machine for your larger car cleaning jobs. With a 12 gallon solution tank you can clean for a long time before having to refill with your carpet and upholstery cleaning solution. The in-line heater lets you power out dirt from upholstery and automotive interiors, along with your favorite upholstery cleaning solution. This automotive upholstery cleaning machine is used by industry professionals to clean all areas of vehicles. It comes standard with a 4" upholstery tool and 25' vacuum/solution hose combo. 2 power cords are required for this unit because of the heater and the extremely powerful 3-stage vacuum motor. Roto-molded polyethylene construction gives you a tough machine to last you for years of use and abuse. For more carpet cleaning options that include larger extractors, don't forget to look at our full lineup of heated carpet extractors. Semi-pneumatic, non-marking wheels for easy transport. 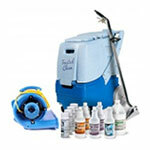 Full 12 gallon solution and recovery tanks for extending cleaning times. Roto-molded polyethylene construction endures all the abuse you can hand out. Built in, in-line heater gives you greater cleaning power. 100 PSI of water pressure with 25' of solution/vacuum hose. Single 3-stage vacuum motor to remove cleaning solution from fabric. Includes a 4" stainless steel hand tool.